Will you welcome this confession? 26 years old. Has Turner's Syndrome-read about experiences w/ it here. Majored in journalism w/ a concentration in public relations at California State University Northridge; is also a licensed pharmacy technician. Works for Crocs. Has a cocker spaniel named Joey. Has three tattoos and a pierced bellybutton. Is perfectly content spending a whole day-or longer-by herself, but cares very passionately about those she calls friends. Loves reading, writing, listening to music, and watching stuff, among other things. Lives w/ her grandma and hopes to move out soon. Has many fandoms and loves many things. On Tumblr, Twitter, on Facebook , and on Myspace. Header created by mrscheckerbunny; lyrics throughout are from the song So Contagious by Acceptance; header image features Sherlock Holmes (Benedict Cumberbatch) and John Watson (Martin Freeman) from the show Sherlock. Coding by milou_veronica. 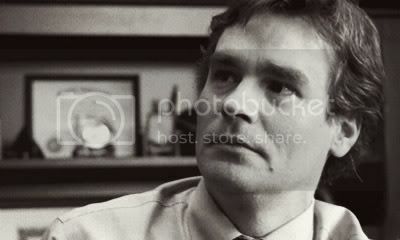 Profile image feature James Wilson (Robert Sean Leonard) from the show House M.D. Mood theme features The 10th Doctor (David Tennant), Rose Tyler (Billie Piper), Donna Noble (Catherine Tate), The Master (John Simm), and Martha Jones (Freema Agyemen) from the show Doctor Who and was created by in_the_end.